Sometimes it's the little touches that make all the difference. The CUBE Town Hybrid Pro features a strong, stiff and extremely elegant integrated luggage carrier. 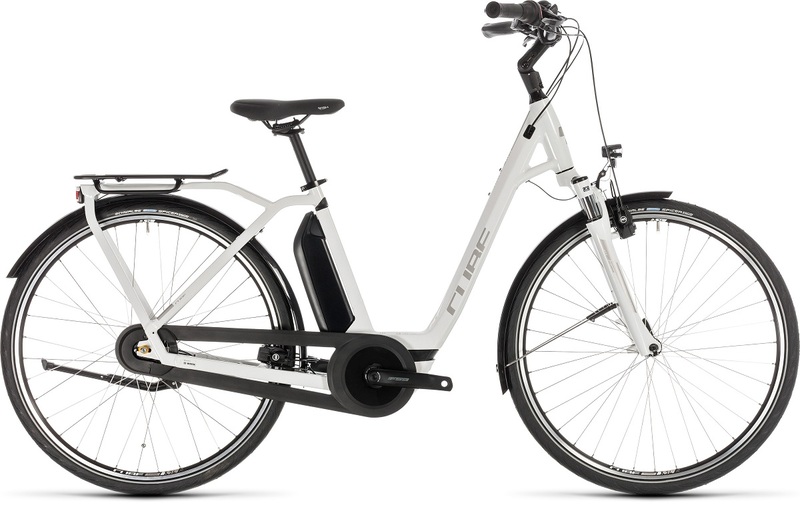 That might not seem such a big deal, but its clean design and exceptionally stable load-carrying ability mean that this is a Bosch e-bike that is as comfortable carrying your shopping or possessions across town as it is just riding door to door. Laden or unladen, its smooth Shimano 7 speed hub gears work seamlessly with the powerful Bosch drive unit to make light work of any journey. Strong hydraulic Magura rim brakes provide safe, assured stopping in any weather, while the fully enclosed chain and full length mudguards reduce road spray and help ensure you arrive clean and fresh. Cube have included a kickstand for easy parking, a lighting system so you can see and be seen, and a suspension fork to smooth out rough roads. It's all you need for stress-free, versatile urban travel.